More student loan borrowers are having trouble making their student loan payments, as they place their student loans into deferment and forbearance. However, there are options, and ElFi Student Loan Refinancing may be one of them. A recent study by the Consumer Financial Protection Bureau found that more than 40% of student loan borrowers graduate with at least $20,000 of student loan debt. Shockingly, there are 2.6 million borrowers in forbearance for $96.2 billion dollars, and 4.0 million borrowers in default for $67.5 billion. Wouldn’t it be great if you could refinance your student loans the same way you refinance a mortgage? Well, you can. Student loan refinancing may be an option if you are looking for maximum savings on your student loan interest and monthly payment. Student loan refinancing is the process of trading in old federal and/or private loans for a new private loan for either a lower interest rate or lower monthly payments. Just like refinancing your mortgage or other debts, you can refinance your student loans. If you’ve heard of student loan refinancing, you have probably heard of ELFI, or Education Loan Finance. 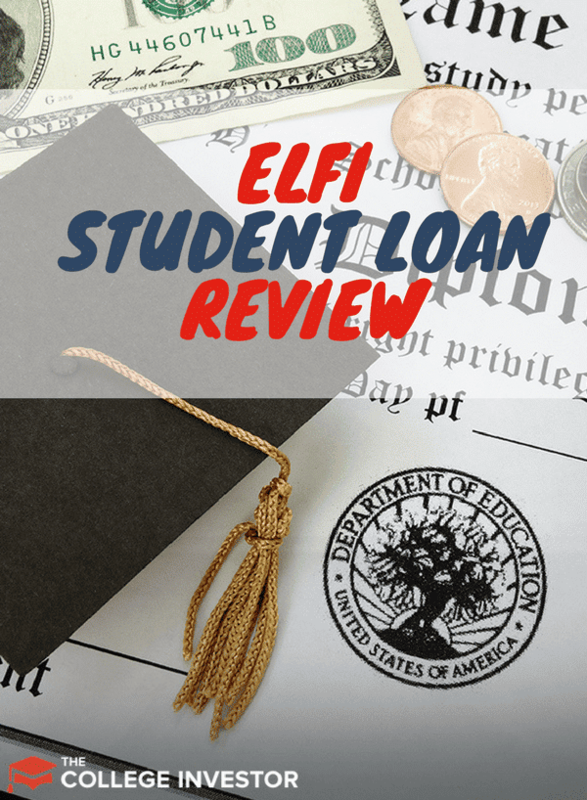 Let's take a look at how ElFi compares, and why we put ElFi on our list of the 10 Best Places To Refinance Your Student Loans. As a bonus, ElFi is on the Credible platform, and you can receive up to a $1,000 bonus when you refinance. Check out ElFi on Credible here. What Is ElFi (Education Loan Finance)? Is ElFi Right For You? How Do I Apply To Refinance My Student Loans? ELFI is one of the student loan refinancing options offered through Southeast Bank. 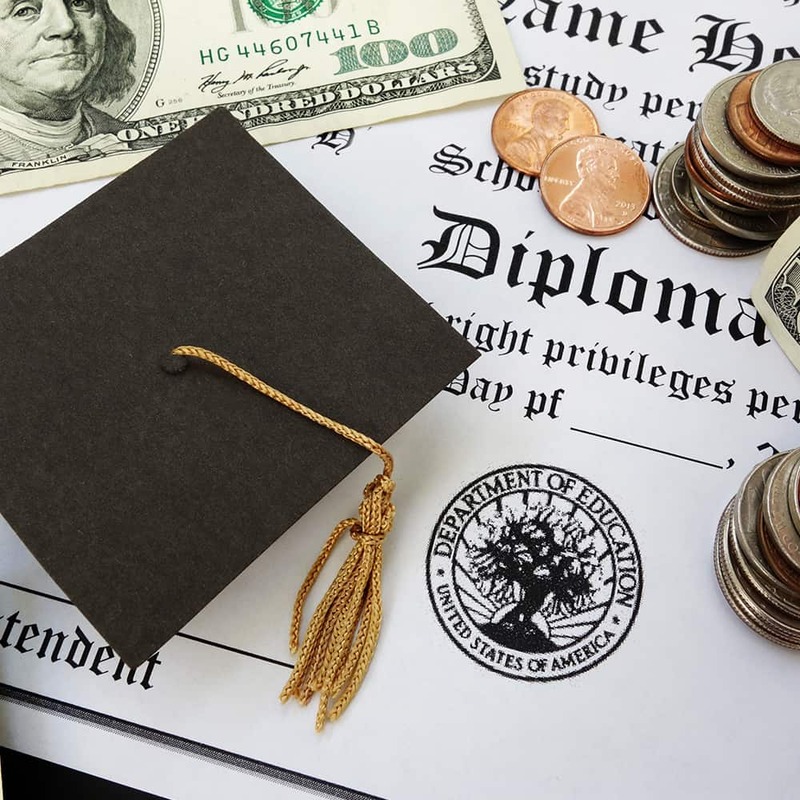 Although ELFI is one of the newer options for student loan refinancing, SouthEast Bank’s holding company, Educational Services of America Inc has been around for much longer. While there are other options for student loan refinancing through multiple lender, ELFI provides numerous benefits that set ELFI apart from its competitors, such as loan consolidation, bonus payments, and Parent PLUS loans refinancing. If you have graduated from school and have a stable job, ELFI can probably help you reduce your payments and interest rate. ELFI offers competitive interest rates for student loan financing, with some of the lowest we've seen on the market. With ELFI, you can repay your student loans efficiently on your own terms, as long as you meet the requirements outlined below. ElFi is available in all 50 states, Washington D.C., and Puerto Rico. To qualify with Education Loan Finance, you must meet the following requirements. Applying for ELFI Refinancing is a simple and quick process if you have the needed documents on hand. The information must be current, meaning no more than 30 days old. Fill out the application here by providing your basic background information. For the initial pre-qualification, ElFi only does a "soft pull" of your credit report. Once your application is finished, you will get a preliminary offer, and if you accept, you will have to upload certain documents and verify your income and financial situation. At this point, ElFi will run a full credit check. Once your information is confirmed, ELFI will provide you with a loan offer, and you can accept the offer through electronic signature. If you want to get started, sign up here. ELFI borrowers will never have to pay an origination or application fee. ElFi offers competitive refinancing rates for those who have over $15,000 in student loan debt and who qualify. You can choose from fixed or variable interest rates. A fixed interest rate will lock in the rate despite changes in the market, whereas a variable interest rate will depend on the rise and fall of the market. Consequently, borrowers who opt for variable interest rates may end up paying a bit more over a longer period of time. Borrowers who want stable interest rates should opt for a fixed rate repayment plan. If you go with a variable interest rate, don’t worry. ELFI’s variable rates won’t increase more than once every three months, and will never exceed 9.95%. Refinancing is designed to result in better loan terms. ELFI’s terms are very flexible, with terms including 5, 7, 10, 15, and 20-year options. The loan terms for Federal consolidation loans can be anywhere up to 30 years. A shorter term means a larger monthly payment but a lower interest rate, resulting in less paid over the life of the loan. A longer term may allow for a lower monthly payment, but you will pay much more overall as the interest rate will be much higher. ELFI will replace your existing loan servicer (usually AES or Navient) with MOHELA, a federal student loan servicer that has a reputation for good customer service and getting students out of debt. With ELFI, borrowers also have access to a team of student loan experts for guidance. ELFI is one of the few refinancing companies that offers refinancing services for parents that have taken out student loans for their child’s college education. ELFI’s Parent PLUS loans offer a lower interest rate and better terms. Parents are able to refinance their parent loans into the student’s name so long as there is consent from both sides and the student is willing to accept responsibility for the debt (and they qualify for it). In addition, parents can also combine other private loans into this consolidation and refinancing plan to simplify the payment process. If you originally obtained your student loans with a co-signer, ELFI allows you to release your co-signer (usually a parent) if you have good credit history and demonstrate the ability to pay off the loans by yourself. Releasing a co-signer from your student loan allow co-signers to improve their credit scores and free up their line of credit for major purchases. Besides refinancing, ELFI also offers student loan consolidation, which means that you can combine your existing loans into one loan with one payment. With a federal student loan consolidation, the government just takes a weighted average of your current loans, which doesn’t save you money. Unlike federal student loan consolidation, consolidating through a private lender still allows for the possibility of a lower interest rate. Be sure to research student loan consolidation before you take the plunge. Aside from refinancing and consolidation, ELFI also has bonus programs through Credible. As a College Investor reader, you can up to a $1,000 bonus for refinancing with ElFi through Credible on our link! Get your bonus and start the process here! Make sure you check out our full list of Student Loan Refinancing Bonus Offers. Note: As of December 1, 2018, ElFi stopped offering the Fast Track $100 refinancing bonus. Let’s face it- most students don’t have sufficient credit history to get approved for ELFI. If your credit is below average, you may not be approved for refinancing without a co-signer with good credit history. Since you are required to have a bachelor’s degree or higher, it follows that you must graduate from college to use ELFI to refinance your student loans. That can be tough for those that have student loans and didn't graduate. These students sometimes need the most help with their loans, and having a graduation requirement blocks them from refinancing. A big disadvantage is that you will lose benefits associated with your federal student loans when you refinance. In other words, you will not be able to defer your loans, apply for forbearance, or apply for income- based repayment plans. Also, if you receive refinancing through ELFI, repayments start within 30 to 45 days rather than 6 months with federal student loans. However, you are not required to include Federal student loans when you refinance. As such, make sure you fully understand when it makes sense to refinance Federal loans, versus just refinancing private loans. Student loan refinancing is a great option for borrowers with a stable job and high student loan debts. You can benefit from reduced monthly payments and lower interest rates that also save thousands of dollars on the original value of the loan. Ultimately, your goal is to pay off your student loans quickly without hurting your wallet. ELFI can help you reach your goals. They have great rates and terms, and can be a good option. When shopping for a student loan, make sure you shop around. ElFi could be the best option, but there are other options as well. We also recommend Credible as a comparison tool to help you shop for your loans in one place. Have you ever thought of refinancing your student loan? If so, what are your thoughts? Tell us your thoughts in the comments section below! ELFI is one of the student loan refinancing options offered through Southeast Bank.